Computer Zone® can provide all of your data recovery needs. We provide solutions. Computer Zone provides data recovery on a full range of hard drives and operating systems IDE, SCSI, SATA, and external hard drive assemblies. We recover all makes and models of laptops, notebooks & desktop computers. Data recovery begins with a $25.00 evaluation fee to determine the potential for recovery and to provide you with a firm price-quote for your review. The initial diagnosis determines whether the data on the media is accessible. 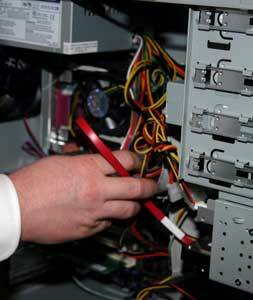 Our average charge for data recovery is LESS than $150.00! Most recovery issues are solved without a clean room and at a rate that won't break your budget. Average billing time for data recovery is 1-3 hours. Hard drive repair can also be done on some drives. 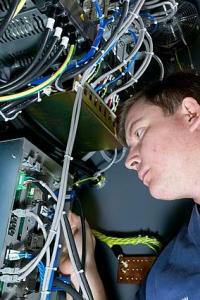 Our technicians will keep you posted on developments with the data-recovery process as they occur. Work is done on an hourly basis. When you experience a data loss situation it is extremely important that you not try to resolve the problem yourself. Doing so can make matters worse and could result in the complete and permanent loss of your data. If you don't understand what is happening with your system, don't do anything, seek the advice of a hard drive data recovery professional. If your drive is making any unusual noises such as clicking, grinding or metal scraping, turn it off immediately! This condition typically indicates a head crash and major media damage. Hard disks spin at a high rate of speed, anywhere from 3200 to 10,000 revolutions per minute. Extensive damage can occur in a short period of time if a drive is left running, making the data irretrievable. In this situation it is best to turn off the system and bring it to our facility for analysis. If you've accidentally deleted files, formatted the drive, emptied the Recycle Bin, DO NOT install any software or save additional files to your drive. Doing so may permanently overwrite the deleted items. If you are in the middle of a project when you discover files are missing, or you believe they have been deleted, save the current project to a floppy disk, or another storage device. Don't write, install software, or save anything to the drive where the missing files were located. Although you probably won't need hard drive repair, you will want to be safe rather than sorry. If you are tempted to use commercial utility software such as Norton Utilities, and attempt recovery on your own, you may render your data unrecoverable!